We are all about breaking habits and setting goals! With school fast approaching for many of you or the dreaded realization that NYE is around the corner and you haven't made due with your resolutions, we have found an app that we think would be beneficial for you. 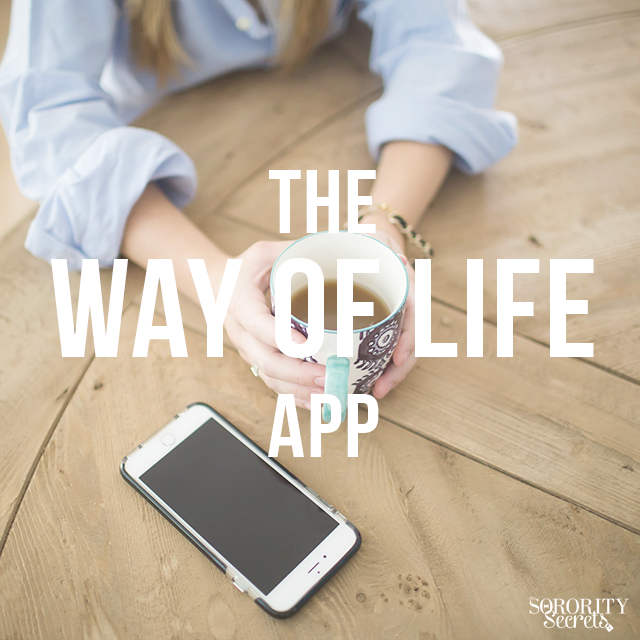 This amazing app is called the 'Way of Life' app and its goal is to help break habits and commit to goals by literally tracking your progress. You can view your tracked goals in a weekly and monthly manner with the pro version. On your phone you can set reminders and receive notifications daily associated with your goals. It is a great app if you have an extra couple of dollars to aid in keeping you on track for your personal and professional goals. If you want to attend more sisterhoods with your sorority sisters, exercise more, read more insightful books and the list goes on, we recommend this app to keep yourself more accountable! 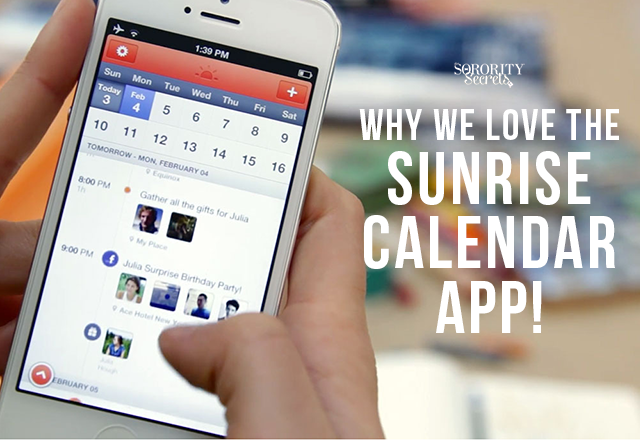 Why We Love the Sunrise Calendar App! 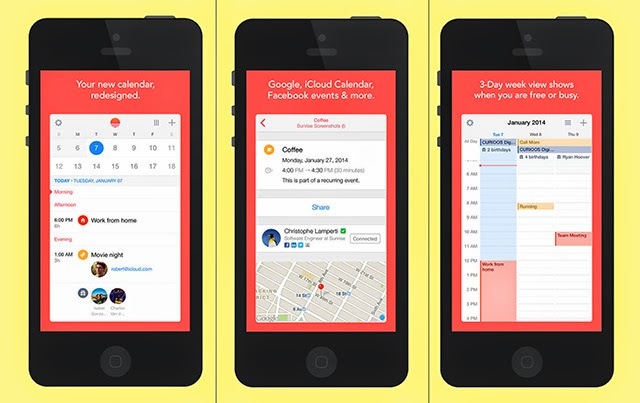 • Quick Add Event just by typing "Lunch tomorrow at 9pm" (long-press on the +) (for Google Calendars only). We are loving it so far and it's a breath of fresh air from our old calendars! Try it out and let us know what you think. We wanted to make sure that you're in the know about the newest app called Handpick. This app allows food lovers access to over 10 million socially shared food posts from Instagram, hundreds of unique food blogs, and top recipe sites. Handpick also recommends ingredient pairings based on what users have on hand. 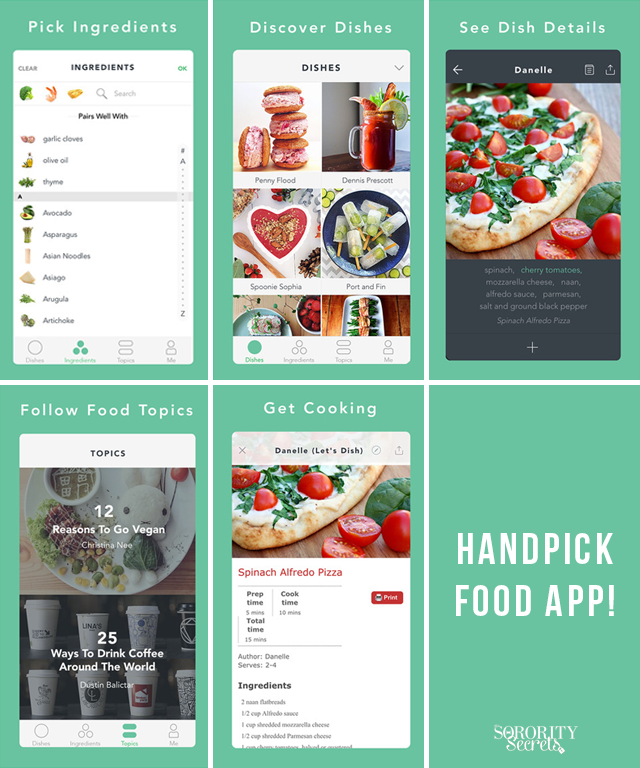 Handpick’s 10 million socially shared food posts include dishes from 1.6 million content creators worldwide. The app makes it easy to save interesting dish posts by adding them to topics which can be shared with others. By following different topics, users get notified when new dishes are added, making Handpick a reliable source for continuously refreshed food content. This means users can find dish topics titled anything from Gluten-free Desserts to 10 Best Superbowl Snacks to 7 Ways To Use Tofu. The Handpick app is available for iOS here!